The Horizons were delighted to receive a large envelope in the mail recently! The mail came all the way from Ontario. Robert Munsch, the famous children’s author and storyteller, wrote a letter to the Horizons in response to a large envelope they mailed to him. This story really begins nine months ago when the Horizons first discovered Robert Munsch. One of his stories was featured at story-time and he soon became one of their favorite authors. During the school year they read Alligator Baby, Smelly Socks, Mortimer, The Paper Bag Princess, Andrew’s Loose Tooth, Murmel, Murmel, Murmel, Mmm Cookies, and Something Good, just to name a few. Fast forward to Literacy Night in late April when the Horizons wrote about their favorite Robert Munsch books and also drew pictures of their favorite books. This activity continued for several days so that all the Horizons could contribute. Many Horizons invited Robert Munsch to visit them at UCCC. The Horizons giggled and laughed when they heard their names in the story, and then they each drew their favorite part of I Want a Divorce! 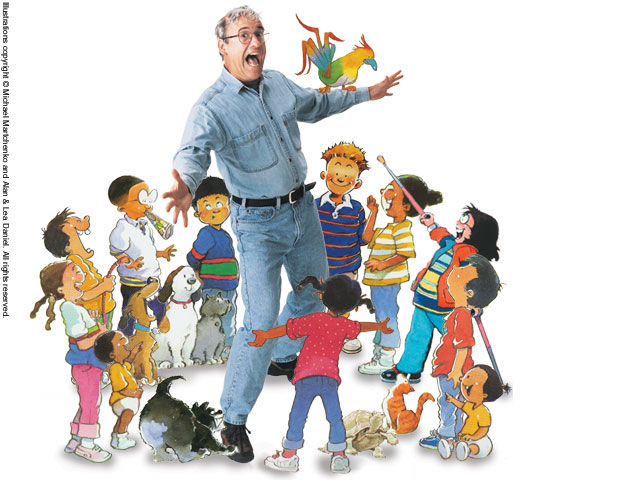 If you would like to learn more about Robert Munsch with your child, go to his website at robertmunsch.com.